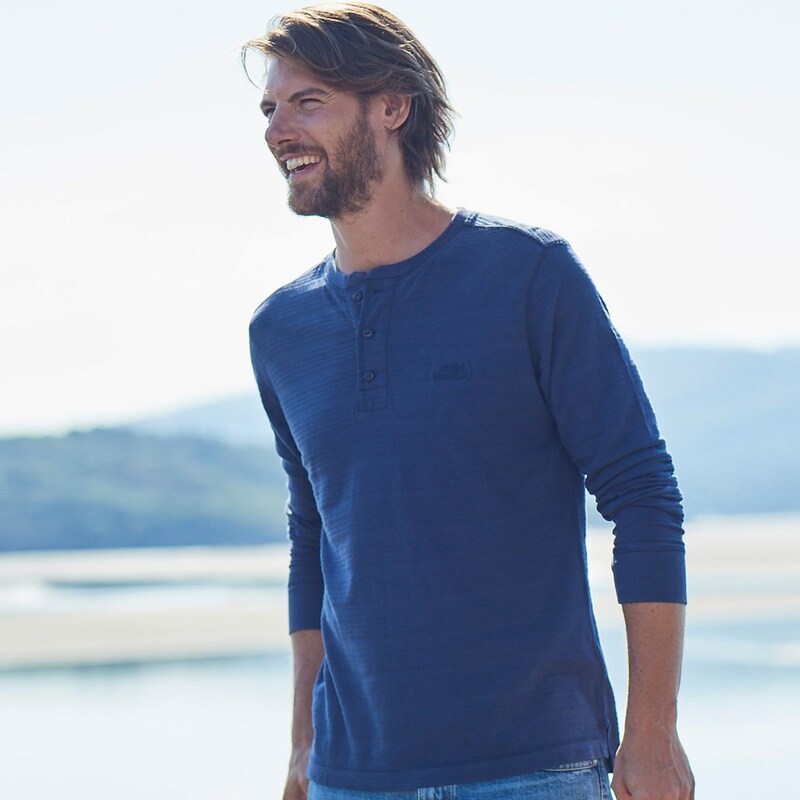 Create the perfect dressed down look with our new Mara button neck long sleeve t-shirt. 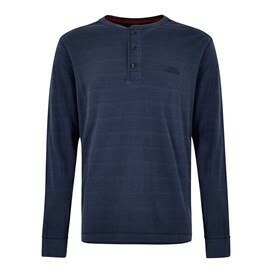 In a classic, relaxed fit this t-shirt is an essential in any mans wardrobe. Easy to layer up, or wear alone - the Mara is made from lightweight cotton and has been finished with a clever enzyme wash to ensure a super-soft, comfortable pre-worn feel. 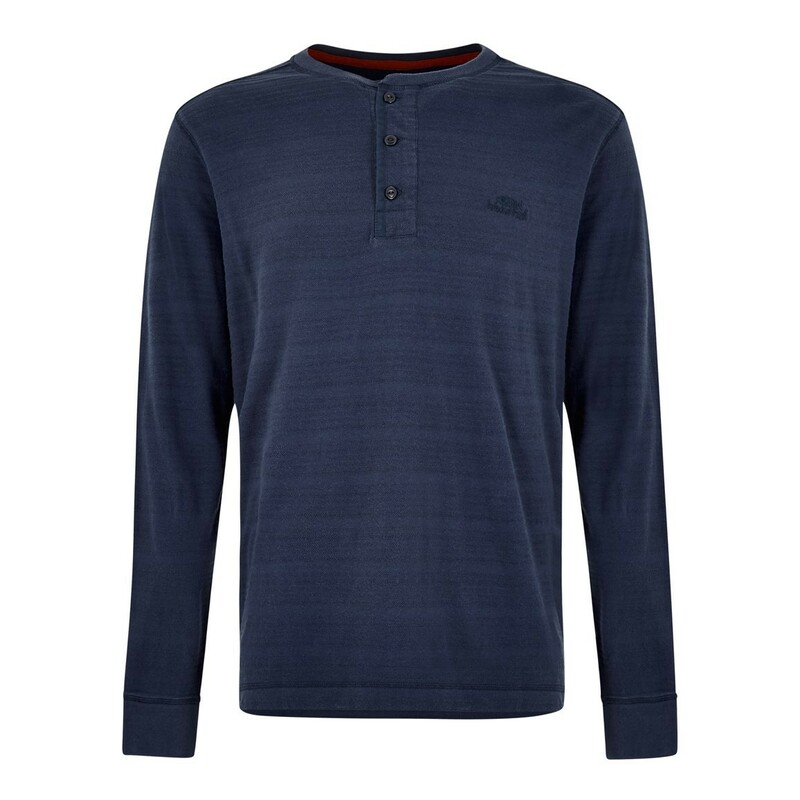 Versatile and hardwearing, the Mara button neck long sleeve t-shirt is the perfect choice this season. 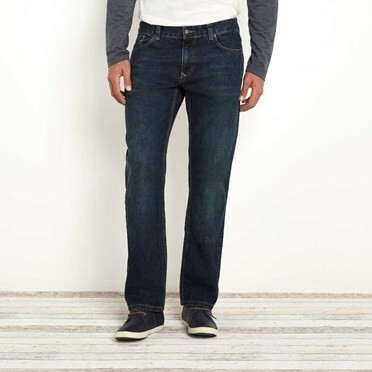 Why not pair with our Stirling denim jeans for a classic, understated look. Far too big and a bit drab for my taste. I'm a 42/43" chest and the L is a very comfortable fit. I love the look and the quality. 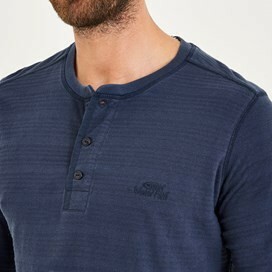 Nice long sleeved T shirt for layering / casual.